Dannielle was born and raised in Prince Albert. Dannielle attended the University of Saskatchewan and received a degree in Sociology. Dannielle received her J.D. from the University of Saskatchewan in 2011 and articled at Legal Aid Saskatchewan Prince Albert office. Dannielle joined Balicki Parchomchuk Sherdahl Hunter in May 2013. While at the University of Saskatchewan Dannielle was a volunteer with the Pro Bono Students Canada University of Saskatchewan chapter. 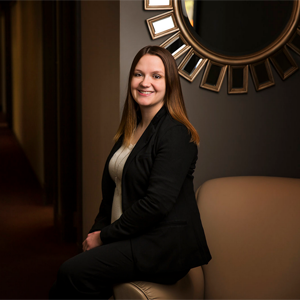 Outside of the office Dannielle enjoys outdoor activities such as fishing and enjoys going to the lake for the weekend.